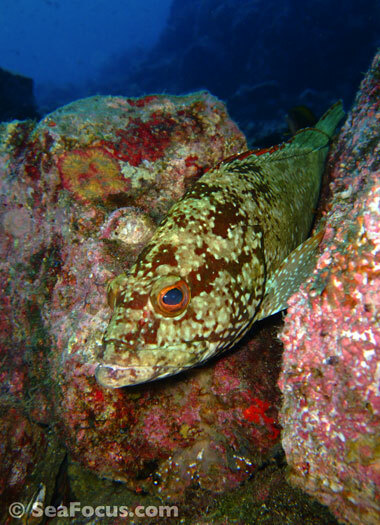 Groupers are an extensive fish family with 20 genera and even more common names including cod, groupers, bass and hinds. 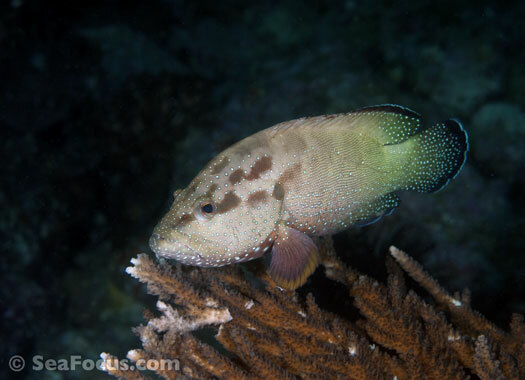 The name is thought to derive from Portuguese 'garoupa', a word with its origins in an indigenous South American language. 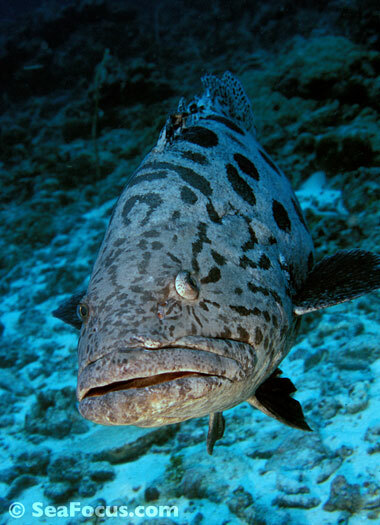 All groupers are teleosts, meaning they have jaws that protrude outwards from a large mouth. 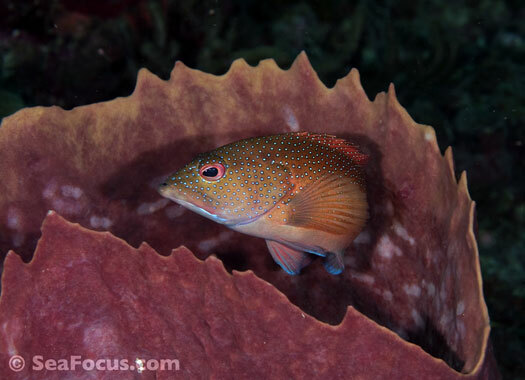 This feature is used both in hunting for prey and protecting them against becoming prey. 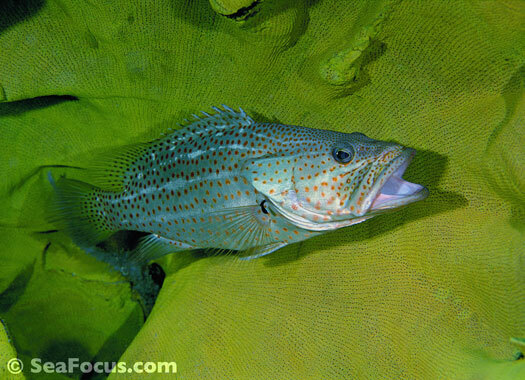 When hunting for food, their mouths and gills form a powerful sucking system that can vacuum up prey from a distance. 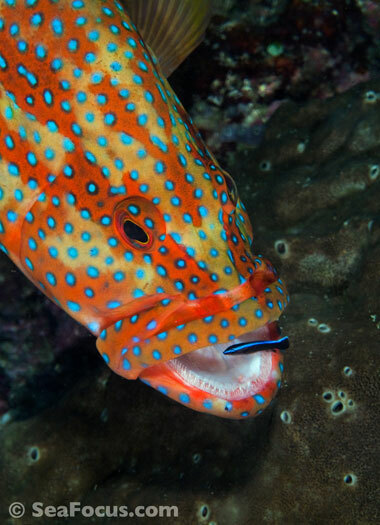 They then swallow them whole as the teeth on the edges of their jaws are minimal. 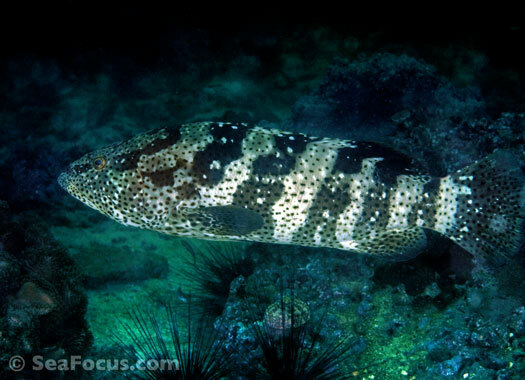 Groupers can also use this action to dig into sand, which they do to hunt for crustaceans and other sand dwellers. 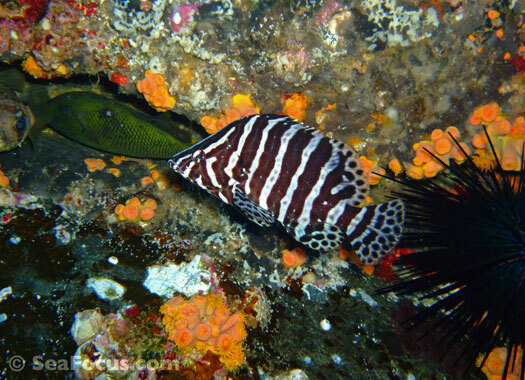 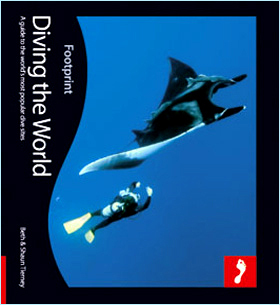 However, just as often they will use this system to dig a shelter under a reef ledge or some rocks. 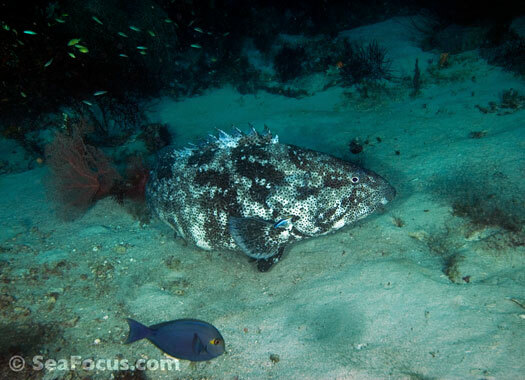 Once done, they can hide inside the shelter and use their mouth and gill muscles as a defence system, forming a powerful lock so they can't be physically pulled out by a predator. 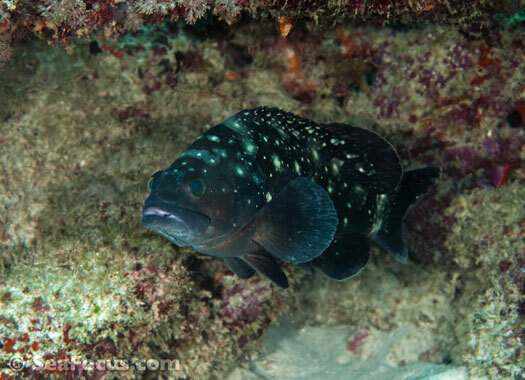 This is important as groupers have a stout body that is not built for long-distance or fast swimming. 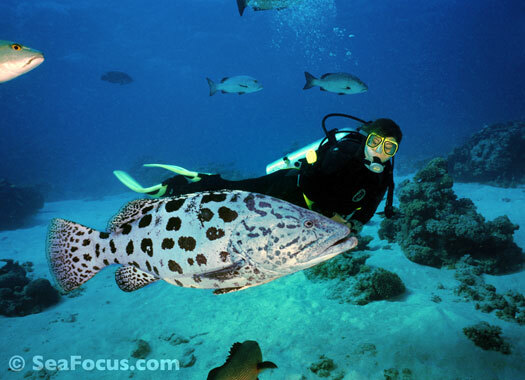 Groupers can be very big fish, sometimes over a metre long and weighing up to 100 kg. 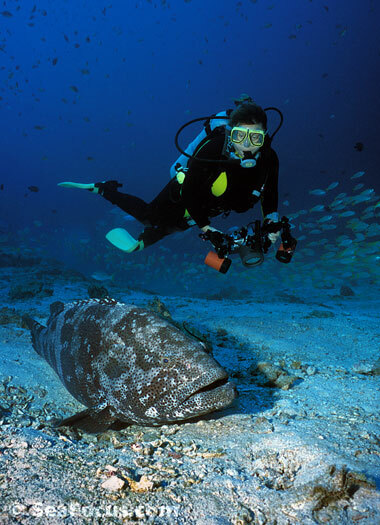 Potato cod are perhaps the most famous giants but the Goliath grouper is even larger at up to 2.4 metres long. 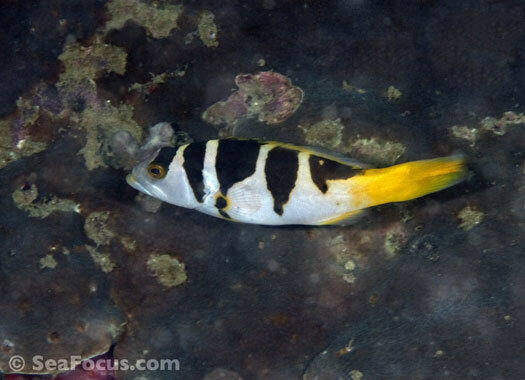 They are also hermaphrodites – adolescent fish are predominantly female but as they grow, can transform into a male. 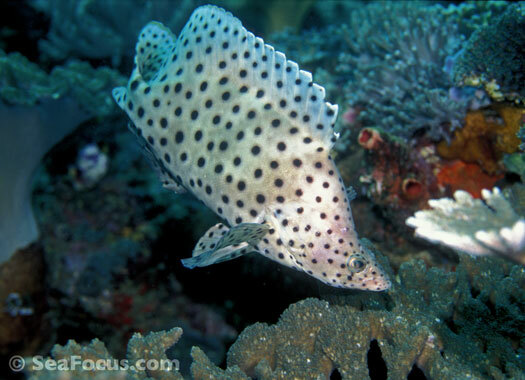 The dominant male will have a harem of females but if the male dies the largest female turns male and takes his place. 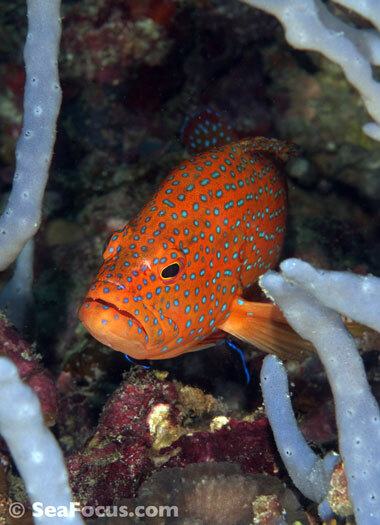 Groupers and wrasse are currently being assessed by a specialist group at the IUCN. 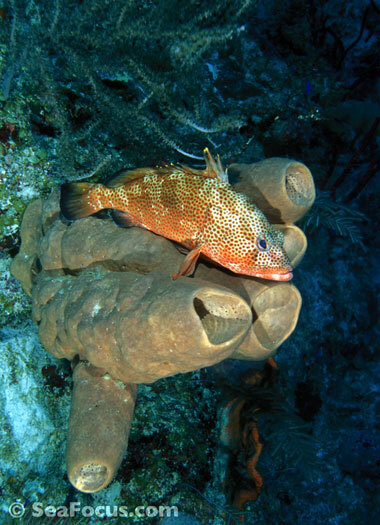 Dropping down to a plateau on Richelieu Rock, we encountered this substantial Blacksaddle grouper. 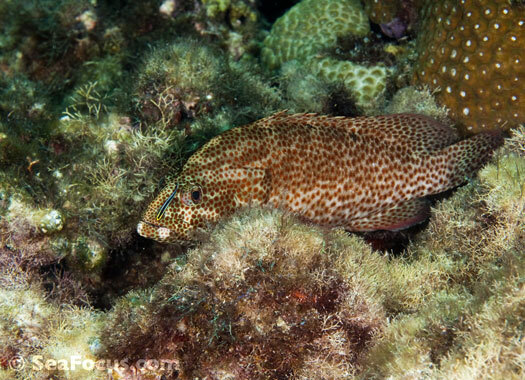 He was a good five foot long and seemed completely unconcerend about our presence and stayed still even after we finned away. 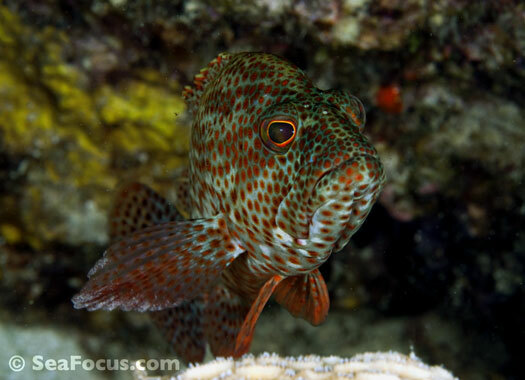 That seemed pretty unusual to us as they are often skittish when divers appear so we asked why back up on the boat. 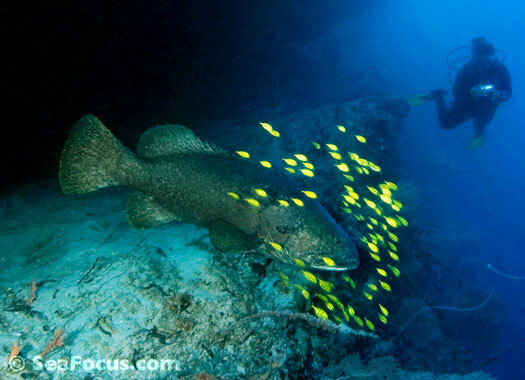 Many of the cod in the area where friendly as – in years past – they were fed as an attraction for divers. 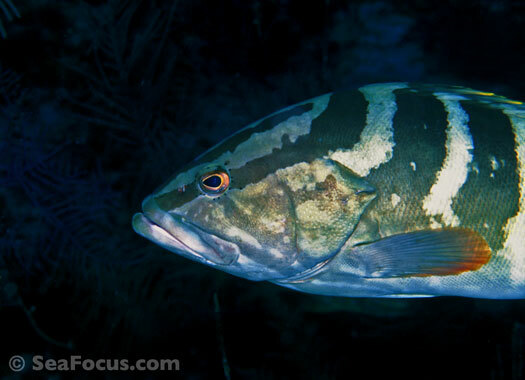 The same behavioural adaption is seen in the more famous Cod Hole on Australia's Great Barrier Reef. 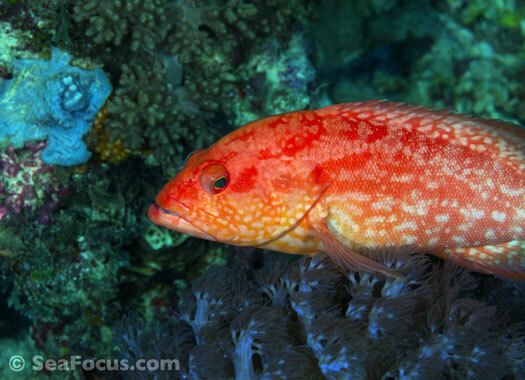 These days, the practice of fish feeding is dying out and is generally frowned on as it does alter natural behaviour. 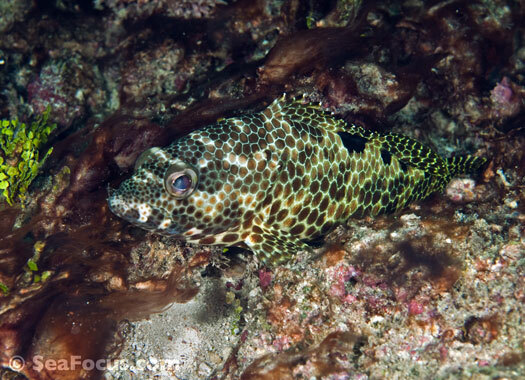 Back at Richelieu, another thought was that the cod really didn't feel threatned by the divers that much as they were ignored in favour of the whalesharks that were in residence at the time.